Part 3 – How Could Such a Great Economy Be Such a Bad Economy? Because this Great Economy is still such a Bad Economy for So Many…Despite the public perceptions, things are not going as swimmingly as being reported. We have an economy that has high enough job growth & low enough unemployment rates to mask the underlying problems, that of so many jobs not paying a livable wage. The faux glowing economic reports also lets political leadership off the hook, where they can hide behind the numbers & obfuscate doing anything about our most pressing long-term problems. It’s going to take a major makeover to our system in revving up the engines for creating better jobs & teaching the workforce the advanced skills for those jobs. So when we keep hearing how strong the economy is, keep in mind this remains a rather bad economy for the roughly half the workforce under financial duress, living paycheck to paycheck without having so much as a few hundred dollars for an emergency. Their American Dream is an American nightmare trying to keep their heads above water, which our song at the bottom is dedicated to them. Working-class Americans are being left behind. There are now 44 million working-age adults without college degrees who are not earning a living wage and do not have enough income to maintain a middle-class standard of living. They come from all races and ethnicities, from rural and urban areas, and they have seen their futures undone by globalization, automation and of course, the Great Recession. Three-quarters of the jobs lost during the recession were held by those with a high school diploma or less. And through the post-recession recovery, it was the workers with at least some education or training beyond high school who captured nearly all of the job growth. Those with less education were the first to be cut and were never hired back. Now, those with only a high school education are 50-percent more likely to live in poverty than are those with some college or a two‑year degree. So, even as economists point out how we are in the tightest labor market since the 1990s, far too many Americans are disconnected from good work. Against that backdrop, policymakers have suggested a host of solutions ranging from changes to federal tax policy and higher-education financing to unemployment and disability insurance programs. Albeit promising, policy solutions to the woes of our modern labor market have been stymied by the complexity of restructuring entrenched systems — or a lack of political will to advance the transformative change that is required. It is a challenge complicated by shifting economic goalposts: Jobs are changing, and skills are being defined differently. In a Business Roundtable survey, 95 percent of CEOs reported they struggled to find workers with the requisite skills for the job openings. Fortunately, we need not craft new solutions from scratch. A growing cadre of on-ramps to good jobs already exist but rarely penetrate a national discourse focused on the growing disconnect between education and employment. They can be for- or nonprofit and have names like JobTrain, STRIVE, i.c.stars and Techtonic. And they are having a profound impact. On average, on-ramp programs report that at least 80 percent of their participants find a full-time role upon completion of the program, often doubling, tripling or even quadrupling their incomes. Things clump together; the periphery cannot hold. As you read this, Democratic presidential hopefuls are crisscrossing Iowa, trying to assure farmers that they share their concerns. Commentators are publishing opinion pieces about how Democrats can win back rural voters. Think tanks are issuing manifestoes about reviving heartland economies. There’s nothing wrong with discussing these issues. Rural lives matter — we’re all Americans, and deserve to share in the nation’s wealth. Rural votes matter even more; like it or not, our political system gives hugely disproportionate weight to less populous states, which are also generally states with relatively rural populations. But it’s also important to get real. There are powerful forces behind the relative and in some cases absolute economic decline of rural America — and the truth is that nobody knows how to reverse those forces. But the gravitational pull of big cities used to be counteracted by the need to locate farming where the good land was. In 1950 U.S. agriculture directly employed more than six million people; these farmers supported a network of small towns providing local services, and some of these small towns served as seeds around which various specialized industries grew. Nor was farming the only activity giving people a reason to live far from major metropolitan areas. There were, for example, almost half a million coal miners. Even then, rural areas and small towns weren’t the “real America,” somehow morally superior to the rest of us. But they were a major part of the demographic, social and cultural landscape. Since then, however, while America’s population has doubled, the number of farmers has fallen by two-thirds. There are only around 50,000 coal miners. The incentives for business to locate far from the metropolitan action have greatly diminished. And the people still living in rural areas increasingly feel left behind. Some of the consequences have been tragic. Not that long ago we used to think of social collapse as an inner-city problem. 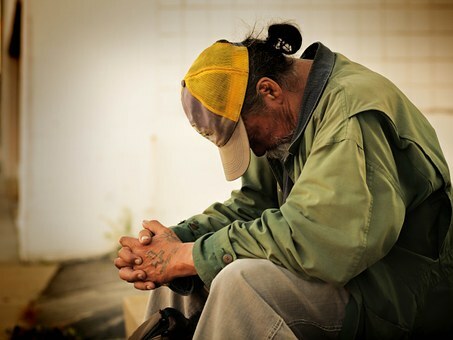 Nowadays phenomena like the prevalence of jobless men in their prime working years, or worse yet, the surge in “deaths of despair” by drugs, alcohol or suicide are concentrated in declining rural areas. And politically, rural America is increasingly a world apart. For example, overall U.S. public opinion is increasingly positive toward immigrants. But rural Americans — many of whom rarely encounter immigrants in their daily lives — have a vastly more negative view. Not surprisingly, rural America is also pretty much the only place where Donald Trump remains popular; despite the damage his trade wars have done to the farm economy, his net approval is vastly higher in rural areas than it is in the rest of the country. When General Motors idled its auto plant in Lordstown, Ohio , this month, President Trump adopted a familiar strategy: He issued a nasty string of tweets blaming other people and promised, in effect, that he would restore the past. Trump’s angry, backward-looking approach may still appeal to some Rust Belt voters. But in the Ohio and Pennsylvania towns that helped win the presidency for Trump in 2016, his vow to turn back the clock hasn’t worked out very well, and there are signs the Rust Belt may be corroding for him politically. Lordstown’s struggles, like those of other nearby factory towns, illustrate the harsh fact that manufacturing is a dynamic process. Old jobs are disappearing because of changes in technology and consumer preferences. Trump’s response to Lordstown was to attack David Green, the United Auto Workers Local 1112 president, implying that he was at fault along with GM, and demanding that he “get his act together and produce.” Green had sent letters to Trump in July 2018 and February 2019 warning about threats to the plant. Trump didn’t respond. After Trump’s Twitter tirade, Rep. Tim Ryan, the Ohio Democrat who represents the Lordstown area, fired back: “The President’s tweet . . . is offensive and does nothing to help bring back the manufacturing jobs he promised to my district.” Ryan argued that “the best thing is to help” GM renovate the Lordstown plant and perhaps build electric vehicles there. Local residents said much the same thing to the Vindicator newspaper of Youngstown, Ohio, over the past few weeks: GM or a new owner should focus on new technology and making products people want to buy, rather than restore production of the low-selling Chevrolet Cruze. Trump is vulnerable in the Rust Belt because he made such extravagant promises when he successfully wooed voters in 2016. “He won this area — a largely Democratic area — and he has not said a word yet, and that’s just pathetic,” warned Jim Graham, a former union leader at GM Lordstown, during an interview with the Vindicator back in November, when GM said it planned to halt Cruze production there. Local residents remember Trump’s proclamation at a July 2017 rally in nearby Youngstown: “Those jobs [that] have left Ohio, they’re all coming back . . . Don’t sell your house.” Tommy Wolikow, a former Lordstown worker, told the Vindicator: “I kind of turned into a Trump supporter at that time. I believed what he said. Almost two years later, I’m seeing nothing but job losses.” Homeowners in Youngstown certainly haven’t seen a boom. According to Zillow, the online realty broker, the median price of homes currently listed in Youngstown is $39,900. The national median price of homes currently listed is $279,000. Browse the real estate ads for factory towns across Ohio and Pennsylvania and you’ll see just how tough it is to be a Rust Belt resident, trapped in a downward cycle. I know the very thought of it is highly unpopular, but we may need to cut Social Security benefits in order to save it. We could also remove the income caps on Social Security taxation & take other reasonable steps to more adequately fund the program. The good news is if we ever got the political will to save Social Security, it could actually be done relatively easily. The same cannot be said of Medicare, the federal program with unfunded mandates at such stratospheric levels it boggles the mind. See the Social Security recommendations inside streettalk/greenspan-social-security-benefit-cuts. We can’t quit private health insurance plans cold turkey with so many Americans reliant on their employers’ plans. We need new plans that are more a stepping stone to universal care, with the transition to a single-payer happening incrementally depending on the efficacy of the public compared to private plans: bernie-sanders-thinks-he-can-beat-insurers-hes-wrong. As we have seen, most all developed nations around the world have implemented universal coverage, providing health outcomes as good or better than America at far lower costs. So we could ease into governmental plans by lowering the age to be eligible for Medicare, with the rest having a public option they can weigh against their private plan. In Canada, everyone in the country is guaranteed access to health care by the government. The same is true for France, the United Kingdom, Germany, Netherlands and every other country that we think of as comparable in terms of levels of wealth, democracy and economic development. In spite of providing universal care, these countries also all spend much less on health care than the United States. In Canada, per person spending is 60 percent what it is in the United States. In Germany spending per person is 56 percent and in the United Kingdom just 42 percent of what we spend. And these countries all have comparable outcomes. People in other wealthy countries not only have longer life expectancies and lower infant mortality rates, they also have comparable outcomes when looking at more narrow health issues like treatment for cancer or heart disease. The basic story is that we spend roughly twice as much per person as people in other wealthy countries and we have pretty much nothing to show for it in terms of better health. This is the context in which critics of Medicare for all are telling us it is not possible. If the argument is that it won’t be easy, the critics have a point. The reason we spend twice as much for our health care is that big actors in the industry get twice as much money here. Drug companies get away with charging us twice as much for drugs as they do in other wealthy countries. The same is true for medical equipment companies who charge far more for kidney dialysis machines and MRIs than in France and Germany. And our doctors and dentists get paid twice as much on average as their counterparts in other wealthy countries. In addition, we spend more than $250 billion a year paying insurance companies to administer our chaotic system. Doctors’ offices, hospitals and other providers spend tens of billions more on administrative personnel who have to deal with the paperwork and issues that are caused by having a range of insurers, each with their own payment rules and practices. These interest groups will use all of their political power to protect the income they get under the current system. The pharmaceutical industry will fight measures to rein in their profits in the same way the tobacco industry fought public health advocates who sought to curb smoking. The same is true for the medical equipment industry. And doctors and dentists will fight like crazy to preserve a pay structure that puts most of them in the top 1 percent of wage earners. This will also be true of insurers faced with a more efficient system that will put most of them out of business. While a well-designed pathway can get us to Medicare for all, even we can’t do it all at once. For beginners, we can look to lower the age of Medicare eligibility from the current 65 to 60 or even 55 in an initial round. We can also allow people of all ages to have the option to buy into a public Medicare-type system. We can also look to start getting our costs down. This means lowering drug prices, both by negotiating in the same way as other countries, and directly funding research so that newly developed drugs can be sold as cheap generics. We should do the same with medical equipment. And we can subject our doctors and dentists to the same sort of foreign and domestic competition that workers in other professions face. These steps can get us on a path to Medicare for all, on which we will quickly be extending coverage to millions of people, while substantially reducing the cost of care for everyone. We are smart enough to be able make the same sort of guarantees on providing health care as every other wealthy country. The way college student debt is adding up, it’s become not just March Madness, but it’s now madness for every month of the year the way students are saddled with sky-high bills to pay for college. And with the intense pressure to get a good job through a college degree along with the exorbitant expense, we need better alternative options. Many young people leaving high school have abilities that may not be geared for college, but as a nation we’ve done an atrocious job of investing in technical/vocational training & apprenticeships. But for those who choose college, much like with health care, we need to find a way to contain the escalating costs: march-madness-ncaa-revenues-student-debt-wrong-priorities. We see yet again Trump has no clue, while his new proposal could serve to make things worse: advocate-says-trump-administrations-new-proposal-would-do-absolutely-nothing-to. One key flaw in the logic is that Trump’s brilliant new policy agenda does not actually exist. The Economic Report calls for a massive new infrastructure investment program. That probably would increase growth. But Trump never bothered to negotiate any such plan when his party controlled Congress. His current budget proposes to cut infrastructure spending. And Trump’s regulatory agenda of putting lobbyists in charge of all the agencies, and allowing coal plants to spew more pollutants into the air, and so forth, is working whatever market magic it’s ever going to work. The Trump tax cuts were a massive lump-sum transfer to business owners from everybody else. Other than temporarily give the economy a slight jolt at a huge permanent cost to the Treasury, that’s all they did. Even Trump’s own economists are finding it impossible to pretend that their promises are going to come true. Last month, when Queens told Amazon and its 25,000 high-paying jobs to take a hike, community leaders cheered. Last week, when GM announced it was shuttering an auto plant in Lordstown, Ohio, killing 5,000 jobs, community leaders wept. These different community reactions, each legitimate locally, should send a warning to Democrats nationally. For Democrats, much of their donor and activist base resides in places where the economy resembles Queens. But the voters they need to win over to capture the White House, retake the Senate, and hold on to the House live in places that have more in common with Lordstown. And while Democrats, activists, and progressive intellectuals have railed against the evils of wealth concentration and income inequality, they have paid scant attention to a more pernicious, salient, and politically roiling problem: the concentration of opportunity in America. Consider Queens County and Trumbull County (where Lordstown is located). Between 2005 and 2015, Queens added 7,577 new businesses and gained 78,756 new jobs. Over those same 10 years, Trumbull County lost 592 businesses and shed 11,704 jobs. To put that into perspective, one-seventh of the businesses and jobs in this one Ohio county disappeared. As Queens rocketed forward, the economy in Trumbull resembled a depression. Of course, different places have always been growing and shrinking in America—that’s nothing new. What is new is the scale. The digital economy has made living in the right place, having the right degree, and belonging to the right socioeconomic groups more important than ever. Characteristics inherited at birth have an outsized influence in determining whether a worker will be on the short end of the opportunity stick. Ignoring this trend arguably cost Democrats the White House in 2016 and could do so again in 2020. Here’s why. Remember the Blue Wall states of Michigan, Wisconsin, and Pennsylvania that flipped to Trump and delivered him the Oval Office? From 2005 to 2015, tiny Queens added more new jobs than these three states combined. That’s right—one county in one thriving corner of the country, population 2.4 million, created more jobs and businesses than these three large, politically critical states that have a combined population of 28.6 million. And in a new report we recently released, we found that since the Great Recession the recovery in the Blue Wall has been much slower than it has in the Blue Bubble Democratic strongholds of California, Massachusetts, and New York. This is true when measured by a slew of indicators, including new business starts, job creation, and working wages. The result is that Democrats, including many running for President, are focused on issues like income inequality because it is the lived experience of people in the urban cores of the Blue Bubble. But it is far more abstract in the interior of America. Consider that there are more ultra-wealthy people worth north of $30 million in the 309 square miles of New York City than in the combined 2.7 million square miles of 22 states. The vast differences between the very wealthy and the rest of us are an everyday reminder in the urban cores of the Blue Bubble. But in the rest of the country, it’s kitchen-table concerns like jobs, wages, and basic benefits that are more tangible and urgent. That is why Democrats need to make opportunity their uniting cause. They need to focus on economic issues that vast swaths of the country can relate to. Spreading the opportunity to earn a good life to more people and places would unite the disparate factions of the party. It would appeal to communities of color and women who still face blatant workplace discrimination in high flying economies like Queens. It would appeal to those in the 2,100 counties (two-thirds of the country) who saw the number of private businesses decline and who lost 1.2 million jobs in a decade’s time. And it would appeal to everyone who feels like the possibility for economic success is drifting away. This focus would create space for a rich set of policies that run the gamut of the ideological spectrum within the Democratic Party. They could push for universally laudable proposals, like apprenticeship options for all, a new set of family tax credits, universal private pensions, wage subsidies, massive infrastructure investment, ubiquitous broadband deployment, and aggressive measures to get capital to people and places forgotten in this economy, to name a few. A wave election in midterms leading to a new House majority, won with victories by moderates in swing districts. A few freshman members in some of the safest seats in the country pursuing an ideologically “pure” agenda that riles up the party’s base but could endanger the moderates who were essential to winning the majority. It’s all so familiar. And I would know. In 1994, I was part of a Republican wave that retook the House for the first time in four decades. I represented Northern Virginia, where many voters are centrists and expect their representatives not to be beholden to the extremes in either party. And over my seven terms—including a stint leading the National Republican Campaign Committee for two election cycles—I saw my conservative credentials questioned and denied by some on the ideological right. It was a prelude of things to come. After I left the House in 2008, I watched as the Tea Party wave crested in 2010, the House Freedom Caucus formed, and a new GOP House majority succumbed to infighting where members from the most safely deep-red Republican seats set the terms of the debate, held legislation hostage and endangered the reelection of moderates and more pragmatic members. I witnessed the transformation of my party into one increasingly challenging for centrists. And now, I’m seeing the same thing happening to the Democrats. Just as her Republican predecessors had to manage the Freedom Caucus’ demands for legislation that would endanger more vulnerable Republicans, Speaker Nancy Pelosi has to govern around the left’s highly energized and emergent “Herbal Tea Party” segment. That wing, led by vocal freshmen, is rooted in solidly Democratic, highly urbanized areas where incumbents’ only worry is securing their party’s nomination—and to do that, they need to appeal only to the base. Meanwhile, the many freshmen Democrats elected in traditionally red districts—who must hew to the center to have any chance of being reelected in 2020—get painted with the same brush, imperiling the party’s majority.